Location is strategic! Between Puerto Madero and main center streets. Dirty broken floors tile and toilet seat I told the front desk they promised to check never did . The staff was amazing. We booked a car through the hotel to go to the airport, but we were late. They waited 45 minutes and didn't charge for this. They were very polite and gave us good recommendations of restaurants. The upgraded room once I complained of the old room. Criminals tried to ROB US in the LOBBY! Absolutely Anything Honestly DO NOT COME HERE! The location was great for attending an event at UCA. Staff was friendly and overall I was happy with the hotel, especially when looking at the price. I think it is a fair deal. All the staff was very friendly and polite , very helpful and accomadating and their concierge service for city tours and tango shows was good, along with the currency exchange service, which was very convenient for me. 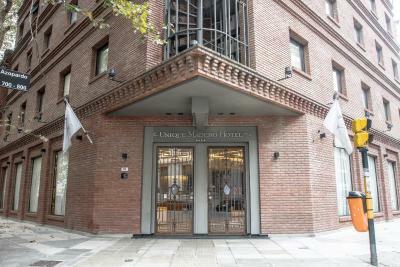 I liked the Hotel location close to the downtown and San Telmo and Puerto Madero neighborhoods. The breakfast buffet was a good deal and the city view was great from its cafeteria. The rooms are spacious, buffet breakfast is quite nice, the decoration is beautiful (tho the wooden parts are quite worn out), the location is good (by Puerto Madero). Quite a nice property. Room was clean and comfortable but modest. 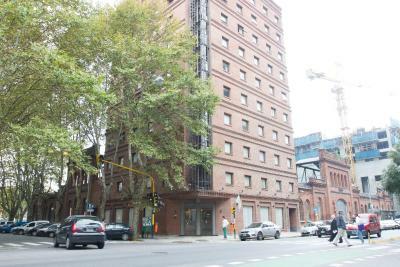 Great location in San Telmo/Madero area with bus routes about a block away and train station about a 15 minute walk. Wifi signal was strong throughout the day. Unique Art Madero This rating is a reflection of how the property compares to the industry standard when it comes to price, facilities and services available. It's based on a self-evaluation by the property. Use this rating to help choose your stay! One of our top picks in Buenos Aires.Unique Art Madero features a modern building with designer décor in the trendy San Telmo area of Buenos Aires. Rooms offer panoramic views of the renovated waterfront. The Woman’s Bridge is just over half a mile away. 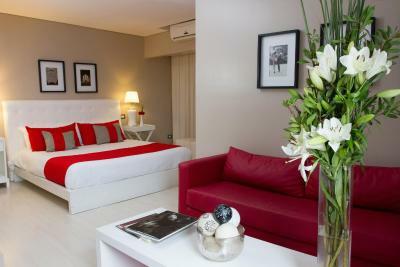 Decorated in stylish shades of white, air-conditioned rooms are bright and spacious. They feature sitting areas, work desks and minibars. An breakfast is served daily in a classy dining room overlooking the city. Lively pubs and restaurant are just around the corner. The 24-hour front desk can arrange for shuttles to Ezeiza, which is 19 miles away, and to Jorge Newbery Domestic Airport, 5 miles away. Unique Art Madero is just over 1 miles from Fortabat Art Museum. Puerto Madero is a great choice for travelers interested in restaurants, gourmet food and food. 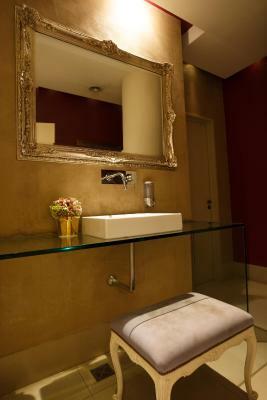 When would you like to stay at Unique Art Madero? This charming and luxurious room has a double bed and a private bathroom. This chic room features a sitting area, a minibar and air conditioning. Featuring modern décor, Unique Art Madero provides impeccable services and high-quality amenities. Step into a space where the historical and the contemporary come together in a distinguished, warm and urban proposal, in the heart of Puerto Madero. House Rules Unique Art Madero takes special requests – add in the next step! Unique Art Madero accepts these cards and reserves the right to temporarily hold an amount prior to arrival. 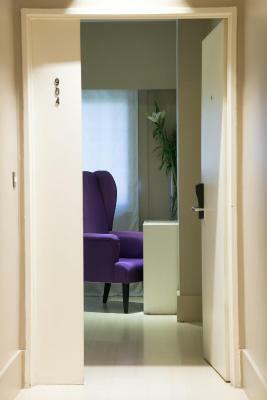 Please note that guests can accommodate one pet (up to 10 kg in weight) per room, for an extra charge. Certainly not a 4 star hotel Old room, no bathroom mat and the water was everywhere. An old air-condition that did not work at all. We had to ask many times for blankets that we had never seen. We had a problem with the electricity and with the water in the toilet (they where fixed after a day) The hotel counts only for the friendly staff. See statement above. I won it recommend this place. Second shift receptionist was not friendly not helpful. The air conditioning wasn’t working enough and throughout the whole building it was so hot. The room was hot, the reception area and when you had your breakfast you where sweating. 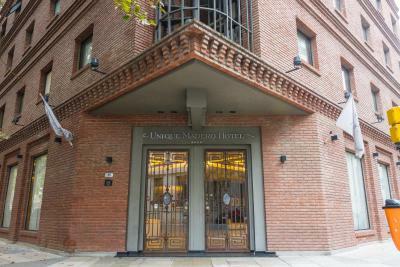 I really enjoy staying in this hotel, location is perfect, walking distance to Puerto Madero, one of the iconic places in Buenos Aires. Breakfast was delicious and with an amazing view of the whole city, comfy bed and pretty clean rooms.